»7 Things You Must Do When In Manipur! 7 Things You Must Do When In Manipur! Surrounded by Myanmar on the east and by the Seven Sister States on all other sides, Manipur is a beautiful land rich with indigenous culture and traditions. Manipur used to be a princely state when it was under the rule of the British Raj. Meetei is an ethnic group that comprises half of the state. Manipur is a largely unexplored place in terms of tourism and therefore, is packed with surprises. Read this article to discover the mysteries of Manipur, that only a local might know. Find out about the things you must do to truly experience the essence of Manipur. The classical form of Manipuri dance, also known as Jagoi, are usually performances that are usually centred around the theme of Hindu Vaishnavism. Usually performed with utmost grandeur during the Lai Haraoba festival, Manipuri dance is a treat to the eyes that transports you back to a bygone era. Manipuri dance also includes dance drama inspired by the eternal love of Radha-Krishna, called as Rasleela. You can witness Manipuri dance being performed in any local fest. Lai Haraoba is a grand festival celebrated by the local ethnic majority during the month of May, the time when you can surely watch the beautiful Manipuri dance being performed by the locals. Keibul Lamjao National Park is located in the middle of Loktak Lake at Bishnupur, making it the world's only floating national park. The Loktak Lake consists of patches of land called phumdis which is made of decomposed plant materials. The national park is home to an endangered species of animal called brown-antlered deer or sangai. The hooves of these animals are accustomed to the swampy land of the park. Other animals that can be witnessed in the park include wild boar, hog deer, jungle cat, and birds like kingfisher, blue-winged teal, ruddy shell duck, to name a few. Ima Keithel which literally translates to mother's market is one of the oldest markets which has been run completely by women. It is believed that the market came into existence all the way back in the 16th century. You can catch a refreshing sight of local women entrepreneurs discussing politics while selling vegetables, indigenous herbs, bamboo, dry fish, etc. The market is speculated to have at least 4000 women who run a shop everyday, making it truly one of a kind! Did you know that the modern day game of polo actually originated from Manipur? Locally known as pulu or Sagol Kangjei, polo is a popular game that almost all the locals of Manipur know how to play. 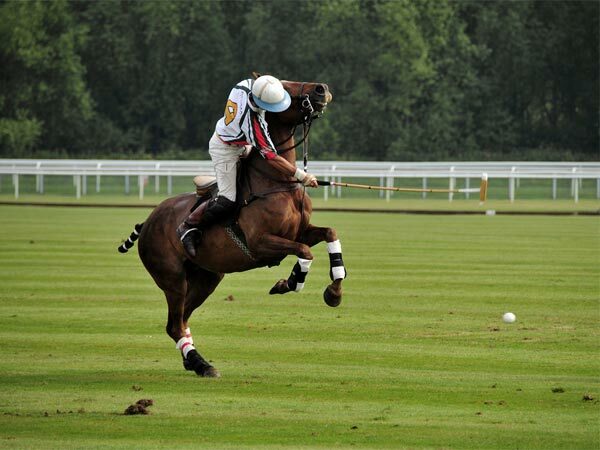 However, polo is locally played using balls that are made of bamboo roots and canes made of bamboo sticks. It was spread all across the world by the British, after they learnt the game during their rule over India. So when you're at Imphal, don't miss out on a game of polo at the Old Polo Field. Try Bhut Jolokia, The Hottest Chilli Ever! Also known as naga jolokia locally or U-morok, bhut jolokia is the hottest chilli ever that also happens to be an integral part of Manipuri cuisines. It is also called ghost pepper due to the heat one experiences while eating it. However, it must be cooked with care since the spice is too strong. If trying out bhut jolokia doesn't sound like your thing, then you must try the delicious cuisine of Manipur. Some of the dishes that you can try are kangshoi which is a healthy stew, the popular Manipuri salad called singju, chahao kheer which is a famous dessert, etc. The Battle of Imphal is believed to be the greatest battle fought by the British Indian Army. The war was between Japanese Army and British Indian Army and it occured since the Japanese saw Imphal as a strategic place and therefore, first defeated Burma (now known as Myanmar) in order to invade Manipur. Relics can be visited in the Imphal War Cemetery, which consists of 1,600 burials of the Commonwealth. The burials of British troops who fought in the battle can be found in the cemetery; whereas, the Japanese war memorial is located a little out of the city, at Red Hill. Willong Khullen in Manipur is a place where a random bunch of stones, that are 10 ft tall, are spread across an area, much similar to the world-famous stonehenge of England. However, Willong Khullen is not known by the locals except for those who stay close to the village. There are approximately 135 pillars in this region, but the place is an offbeat location in Manipur. Why head to England when you can see mysteriously standing stones right here in India?